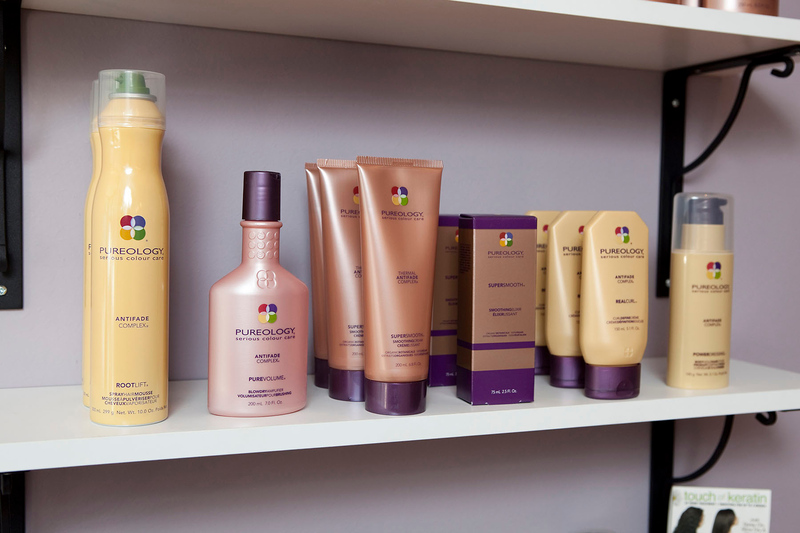 Moxie is stocked with hair products by Pureology, a more natural and green alternative for shampoos, conditioners, gels, and sprays. All of Pureology’s ingredients are 100 percent vegan, do not contain sulfates, and the botanical and plant extracts are free of synthetic pesticides and chemicals. All color treatments are with Goldwell, which features low ammonia content in the color products and no ammonia at all in the protein-based color shine products—all of which results in a more natural look.